Calgary, Alta. 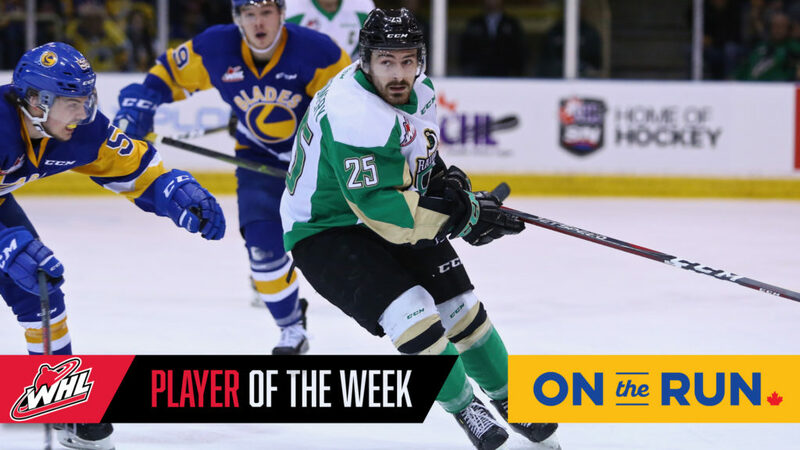 – The Western Hockey League announced today that Prince Albert Raiders forward Sean Montgomery has been named the WHL On the Run Player of the Week for the week ending April 7, 2019. 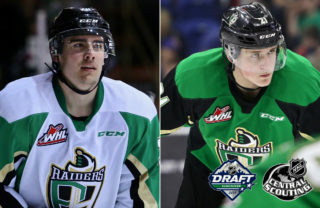 The Raiders’ alternate captain recorded four points (4G) and carried a plus-two rating in two contests as the Raiders picked up their first two wins of their second-round series against the Saskatoon Blades. 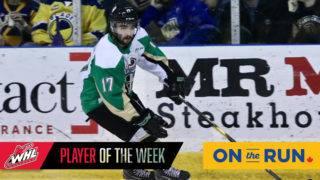 On Friday, Montgomery was a standout player for the Raiders as he recorded three goals in a 6-1 win against the Blades. He scored Prince Albert’s first and third goal on even strength as well as the fifth goal on a power play. Montgomery’s dominating performance in the game earned him first-star honours for the game and first-star honours for the night in the WHL. Sunday, Montgomery aided the Raiders in their second win of the series with a game-winning goal against the Blades on the power play. 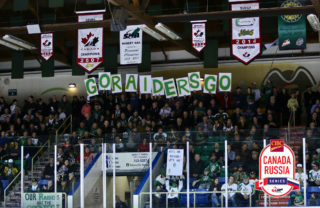 Coming from behind in third period, Montgomery and the Raiders rallied towards a 3-2 win. 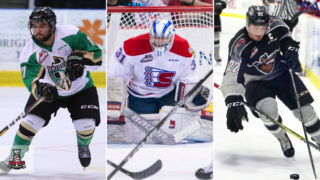 The 5-foot-10, 176-pound centreman has six points (5G-1A) in the 2019 WHL Playoffs. In 18 WHL Playoff games, Montgomery has 13 points (9G-4A). 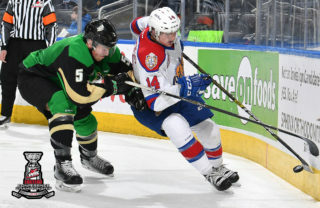 Montgomery played a key role in the Raiders’ success this season, recording 59 points (29G-30A) in 67 games, including seven power-play goals, four short-handed goals, and four game-winning goals. The Calgary, Alta. product was selected by Prince Albert in the sixth round, 114th overall, in the 2013 WHL Bantam Draft. In 345 WHL regular season games for his career, Montgomery has 144 points (72G-72A), including 14 power-play goals, seven short-handed goal, and nine game-winning goals. This season Montgomery also achieved the Raiders’ franchise record for most games played. 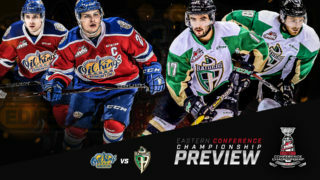 After two games at home to kick off their second-round series, Montgomery and the Raiders will head to the SaskTel Centre to take on the Blades for Games 3 and 4 beginning on Tuesday, April 9 (7:00 p.m. MT).